A new cooking show aimed at kids, Crocomole, began on ELEVEN last week. The series stars Callan Warner, Emily Dickson and Croc puppet (Jack Kelly), produced in-house by TEN Brisbane. Take a curious little crocodile, add a touch of magic, sprinkle in some music and fun and you have a recipe for a creative cooking adventure. Aimed at pre-schoolers, Crocomole’s message is that across all cultures, the kitchen is the beating heart of every household. It is where meals are created and prepared with care and love to nourish children and families. Crocamole is jam-packed with exciting, colourful, easy-to-make food courtesy of chef Truffle (Callan Warner). 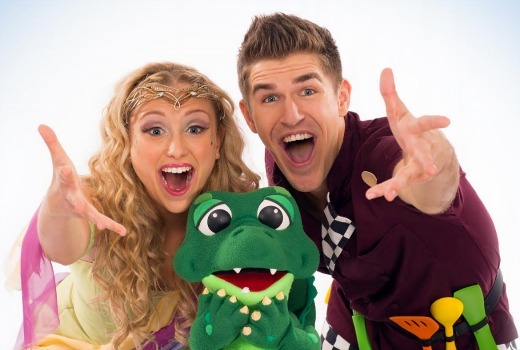 Molly (Emily Dickson), the funky rainbow sprite, always has a song and game to share and Croc (puppeteer Jack Kelly), the cheeky crocodile, loves to lick the spoon and keep everyone laughing. The program explores nutrition, numeracy, literacy, and gross and fine motor skills, taking children on a journey of fun and discovery about the food we eat, every day. With a commitment to investing in high-end, engaging children’s entertainment, Network Ten Brisbane’s in-house team produces more than 230 hours a year of premium content just for kids.